A new university semester is approaching and this means that a lot of students will be looking for a place to do an internship. 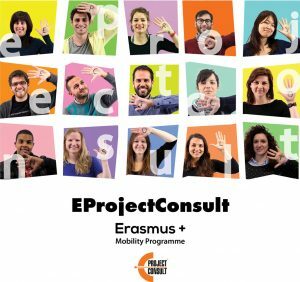 At EProjectConsult, we are offering two internships for university students in the fields of EU project management and marketing & communication! An internship at EProjectConsult is a life-changing experience. You will be able to obtain work experience at a dynamic and young company that works in the field of EU project management, mainly in the field of Erasmus+. We offer internships from four to six months and you will live in the city of Barcellona Pozzo di Gotto. It is a chance to work in a multicultural environment and you are going to assist with European projects of people from all over the European Union. Next to the professional part of the internship, you will also be able to learn about and discover the culture of the beautiful island of Sicily. You will get the opportunity to see beautiful towns, cultural heritage sites and natural treasures such as Taormina and the Etna volcano. You will also get the chance to try the Italian cuisine. We do not have to explain why our cuisine is the best in the world, right? Still in doubt? You can look at our website and our social media to get an idea of what we are doing. You can also read about past experiences of interns here and here. If you are interested in applying for an internship, you can follow this link. Good luck and maybe we will see you in 2019 in Sicily!